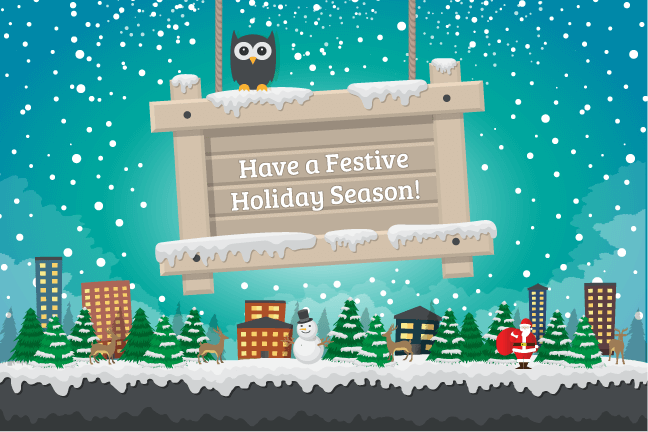 WebSpellChecker team is keeping working hard and excited to announce our next release – 4.8.9. 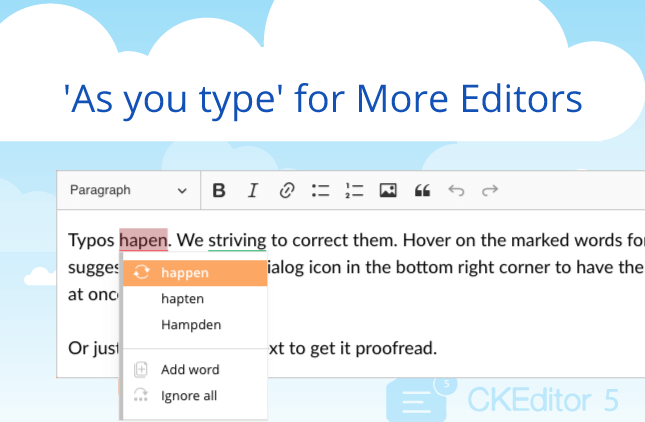 We continue improving our main product, SpellCheckAsYouType (SCAYT), not only with new features and other enhancements but also build new solutions based on it. 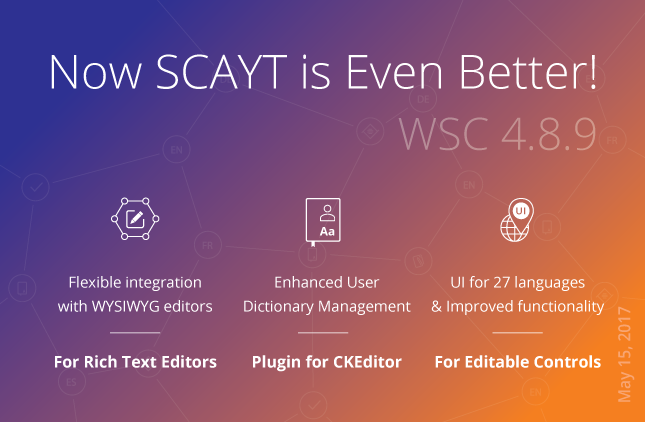 With this release we are happy to introduce a modern customizable solution for rich text editors with flexible integration – SCAYT for Rich Text Editors. It is intended for advanced web developers who are seeking to add the spell check as you type functionality to rich text fields of a web-based system. The Custom SCAYT for Rich Text Editors inherits all the current functionality of SCAYT and provides the extended API that allows web developers to integrate and customize SCAYT taking into account their needs and requirements. Moreover, now it’s possible to manage and configure the work of standard SCAYT modules (UI – Context Menu and Dialog, Drag&Drop, Undo/Redo, Clipboard – Copy&Past) by enabling/disabling them. We are excited to share with you a demo of the existing integration of SCAYT for Rich Text Editors with Froala WYSIWYG Editor. Now SCAYT is built in by default with Froala Editor! The improved User Dictionary introduces a new interface for words management in the personal dictionary. Now SCAYT users are able not only to add new words to their dictionaries but also remove particular words and view the whole list of words saved in the dictionary. All this can be done from a simple interface of the “Dictionary” tab. Don’t miss the chance and evaluate the enhanced SCAYT 3 for Editable Controls in your web application. 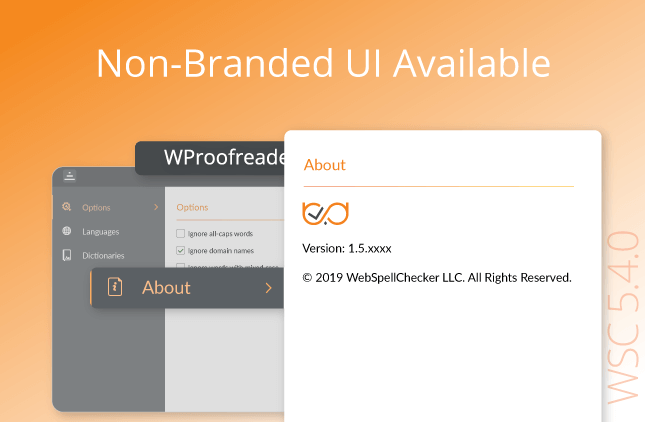 Contact us at support@webspellchecker.net and request the latest version of the WebSpellChecker application.